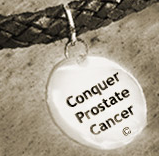 Conquer Prostate Cancer Now: After Prostate Cancer Surgery and Other Options - Why Not Become a Health Coach? After Prostate Cancer Surgery and Other Options - Why Not Become a Health Coach? Only months after I became a prostate cancer surgery survivor, I became a health coach and a patient healthcare educator. These pursuits evolved while I was in the middle of writing my book, Conquer Prostate Cancer. As a health coach I was particularly gratified to get a special email a couple of weeks ago. At that time a representative of the Hilton Johnson HealthCoach Training Institute in Ft. Lauderdale, Florida,, invited me to present a 55 minute teleseminar. The topic I selected is " How Patients Can Become Active Members of Their Healthcare Team." This session will be of particular value to prostate and breast cancer patients, as well as their health coaches who strive to empower them. My complimentary coaching teleseminar will take place a little over a month from now on Monday March 15th at 9:00 pm. As we draw closer to that date I’ll provide the access phone number and code so you can “listen in”! In addition, for those of you who might want to consider health coaching, I’m pleased to inform you that I’ve arranged to have you attend a special complimentary Health Coach Business teleconference call with Hilton Johnson, the CEO of HealthCoachingU.com and HealthCoachTraining.com. In this 90-minute call, Hilton will demonstrate (with a volunteer client) one of his company’s health coaching models to show you how easily health coaching gets results. You will also see, on your computer screen, a unique web-based platform that allows health coaches to manage and professionally coach hundreds of clients at the same time. Health Coaching is the fastest growing niche market of all coaching and presents multiple opportunities for contributing to some of the proposed improvements being discussed today in health care reform. Coaches are also paid very well. They earn an average of over $190 per hour coaching individual clients. Some coaches who are conducting group coaching sessions are earning far more than that. During this call, Hilton will explain how you might meet the requirements for being trained and certified as a HealthCoach and start earning coaching fees in as little as 90-days. If you would like to attend this timely and important event, you will need to be on your telephone and your computer at the same time as this is a teleconference and webinar presentation. To register for this teleconference/webinar event, click on the link below or copy and paste the link into your browser. Be sure to complete the entire process so you can receive the e-mail conformation and instructions for calling in to the call and connecting to the webinar portion of the call.